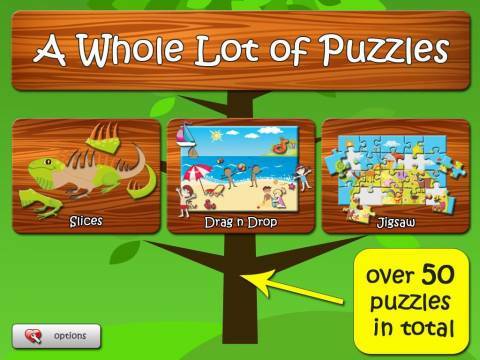 What it is: 14 puzzles (3 types: Slices, Drag and Drop, Jigsaw). 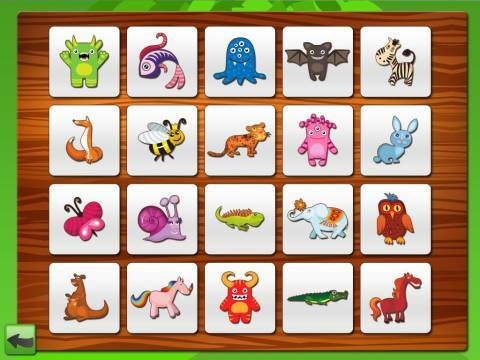 10 additional puzzles can be unlocked by publishing a review of the app. 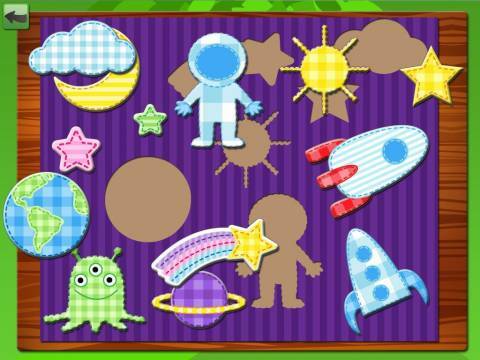 What you do with it: solve the puzzles by sliding the pieces into place. What we liked: 3 different types of puzzles included in the app, the option to turn off in-app purchases (but see the note below). What we didn't like: the puzzles must be positioned very precisely to 'snap' into place. No visual clues. Only one difficulty level for each type of puzzle (e.g. 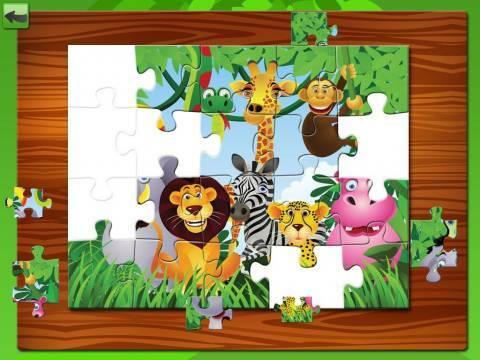 jigsaw puzzles are all 4x5 pieces each). 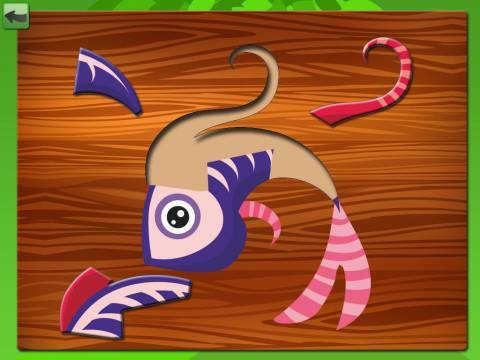 Note about the in-app purchases: additional set of 37 puzzles can be purchased for $1.99. The in-app purchase option can be turned off in the settings menu (but the icons of the paid sets remain visible on the screen).